The travel world has changed over the years, and more and more of us are willing to trade volunteer time in a foreign country for the chance to really experience the land and people in an interesting location. By volunteering to help with a local project travellers get real interaction with the people of the region, and a cultural immersion experience. 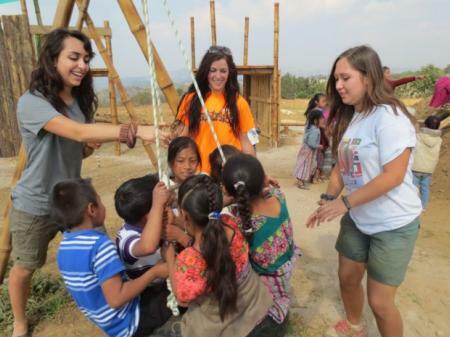 Volunteering abroad travel experiences are available in many areas of the world. Many parts of Africa, Asia and South America, make excellent, safe opportunities for western visitors. Other countries throughout Europe and the Caribbean may also present fantastic opportunities. A little research on your part will produce a great experience and a worthy result for both you and the area you are volunteering in. The so called “Voluntours” offer the most structure but can vary a great deal in how much effort on your part is expected.Ask lots of questions before you book, and remember most of your fee will go to the tour company. Socially responsible travel still requires research on your part even if you are an independent volunteer. Ensure that the project you are getting involved in is appropriate for the area. It should also meet your moral and ethical values as well of the cultural needs of the region. Not every project is really valuable culturally or high on the eco-standards list. Even non-profit driven projects are not always doing the best work. Some areas have become dependent on Western aid to ongoing projects, which reduces the intent of developing independence for local peoples. Do some research and choose carefully. This can be difficult at times, especially when you are eager to get started. But a wise choice is better for both of you. Why do we like holidays so much? Most people would agree that the word ‘Holiday’ conjures in our minds a feeling of relaxation. It helps you eliminating haste to reach the office, traffic hassles and many other stress cobwebs that follow you every day. Fancy waking up at dawn and treating your eyes with nature’s splendor while you find yourself practicing yoga amidst serene surroundings! Wish to live it? 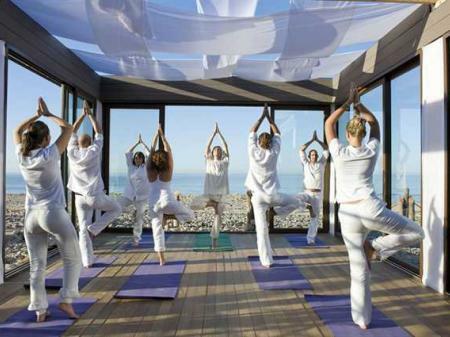 Wellness yoga retreats are all set to offer you a heavenly and invigorating experience. 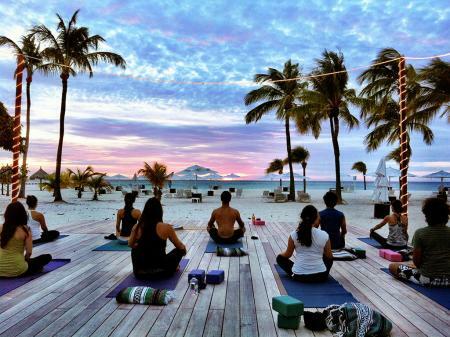 Consider joining Yoga and the Sea, in Spain that involves dawn & dusk yoga and daily meditation. Breathe better workshops are also there to help recuperate you from inside. We all love food but when it aids in regaining our health, we don’t mind cutting it a bit. 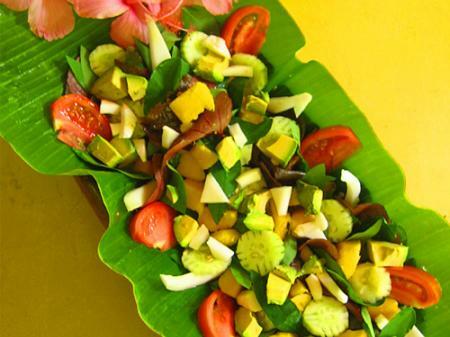 While here, enjoy the nutritious and hearty breakfasts to make the most of the wellness vacations. The carefully planned meals are perfect healthy choices. The gorgeous and tranquil bay of Moraira invites you to revel in fun, and eschew dullness as you are doing it all to restore energy and reinvigorate yourself. Or you could savor the holistic experience of a Costa Rica Wellness Escape where you will be undergoing wellness therapies encompassing exercise, massage and relaxation techniques. While doing all this, you still do not need to compromise with the ‘holiday feel’ as you will not lack in leisure and comfort time during your sojourn. 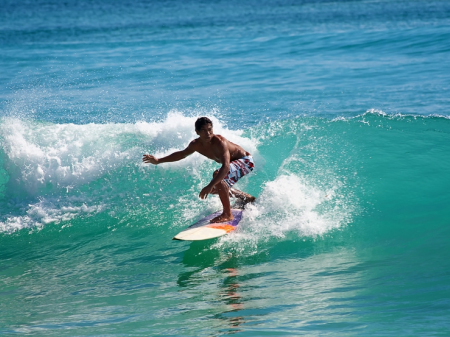 Let your next holiday brings you unequivocal health and improved vigor! I’d been on one or two group holidays but always found they didn’t quite live up to my expectations. Don’t get me wrong. They were fun. But somehow, we never made the best use of our time. Couples paired off or people did their own thing. There was no focus to the experience. Always a team player, I wanted something where we could really bond. I don’t remember who suggested a wellness retreat but it was only when I saw the variety of resorts on offer that I really became excited. We created a checklist of activities we wanted to include. Yoga went on the top of the list but there was also an interest in doing some kind of adventure activity like surfing. 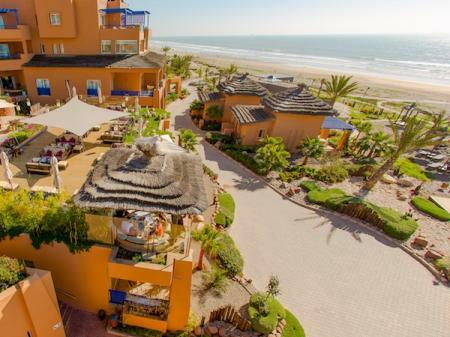 With some key goals in mind we soon whittled our choices down to the Paradis Plage in Morocco. Not only did it have an excellent yoga school but also had a partnership with an Australian surfing company called Rip Curl. I got what I wanted, a trip which was focused and activity-packed; a trip where everyone didn’t just disappear on their own adventures. We started early each morning, which wasn’t hard. We woke to a world of green palm trees and orange brick buildings, pink pavilions and sandy beaches. And the ocean drawing breath on the Moroccan coast. We spent the mornings in the yoga schools exerting our bodies and freeing our minds. In the afternoons, we headed over to the surfing area where some of us rode the waves and others fell in the brave attempt. As wellness retreats go, it was more than I expected. To me it just felt like the holiday I’d always wanted to have. The sun, the sea, great food and old friends. It was only when we got back that I realized how fresh and revitalized I felt. I really felt good, which was definitely a bonus. 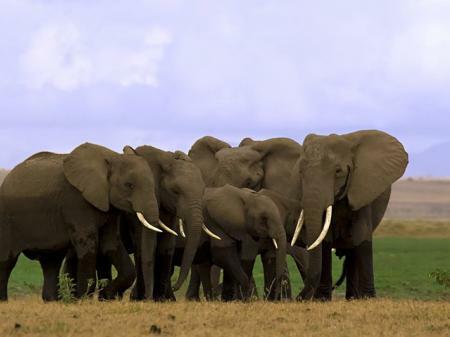 At one point or another, most people have dreamt about going on an African safari. They’ve thought about trekking in the jungle or climbing into the back of a khaki jeep. The saturated yellows and rich greens of the savannah come alive in their imaginations before retreating again before a dreary suburban day. There are few people who ever manage to follow that dream. And for most of us who make it to the wilds of Uganda, Zimbabwe or Kenya, it’s a once-off adventure. The trip of a lifetime. How many people do you know who have gone gorilla trekking in Uganda? The chances are, not many. The further we stray from the beaten track, the more unlikely are our encounters. The more difficult the journey, the more interesting the people we meet along the way. Standing on the edge of Lake Bunyoni, Africa’s largest crater-lake, take a moment to see who’s standing next to you. Uganda has a number of reservations including Magahinga and Bwindi National Parks. Observing gorillas in their natural habitat is a rare privilege and visitors are asked to respect strict guidelines. Getting close to gorillas often involves arduous treks into the jungle. There is usually time allotted to taking photographs and watching the gorillas roam and interact, before starting the journey back to the lodge. On route you will be exposed to some of the most luscious scenery on the continent. So many images of Africa are implanted in our minds. We’ve accumulated them over the years from books, TV, movies or the web. Victoria Falls is definitely one of those images. It seems familiar. But we can hardly imagine what it’s like to be near the roar of those falls. 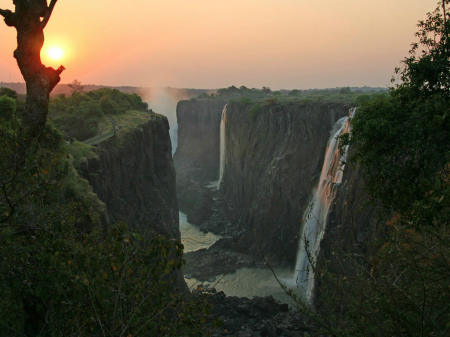 It’s located on the border between Zambia and Zimbabwe. At 1700 meters wide and 100 meters tall it dwarves Niagara Falls. It’s said to be the largest sheet of falling water in the world. While the falls may be the main attraction, the area is rich with activities, any one of which is worth the trip. Safaris here offer a choice of transport. Horse back or elephant-back. The opportunity to spot lions and crocodiles in the wild, the chance to visit hill resorts or go bungee jumping, make this an adventurer’s paradise. I suppose we all have that classic image in our minds when we think of an African Safari. It involves a Khaki jeep, a pair of binoculars, gazelle sprinting across the plains and a giant red sun sinking over the horizon. Some of the finest reserves and national parks in the world are located in Kenya, and they certainly fulfill that classic safari experience. 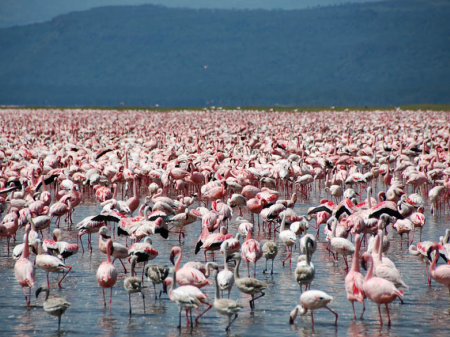 Parks like Masai Mara and Lake Nakuru are difficult to surpass for the sheer amount of wildlife on display. You’ll see lots of big game; large numbers of giraffes, lions, antelopes, and if you’re lucky some endangered rhinos. If you have time to visit Amroseli Reserve there’s an iconic view of Kilimanjaro, the highest mountain in Africa. There is a growing appreciation for the cultural significance of all things culinary. A country’s food is as integral to its identity as its rivers and mountains. We live with our food the way we live with our landscapes. Perhaps for this reason, food is becoming more central to our vacations. The fascination with authentic culinary experiences can be explained in part by increased globalization. Nowadays it’s possible to walk down a street in any major city and find a variety of national food outlets; Indian, Italian, Indonesian, Greek etc. The exposure to a richer variety of food broadens our knowledge and often wets our appetite for something more. Soon we wish to experience the food within its original context. Food becomes like a piece in a jigsaw puzzle. To see the whole picture you first have to put it together with its natural landscape. You have to achieve that authentic immersive experience which a local outlet can only approximate. The culinary and cultural tour is in many ways a response to that impulse. The atmosphere of a traditional English pub is not something that can really be outsourced or exported. You can imitate the décor and even the menus but beyond that you can only fail. Too much remains innate and culturally specific. So much is to do with the people, the conversations, the history… the old world warmth, the open fires. An English pub makes no sense in any other context. 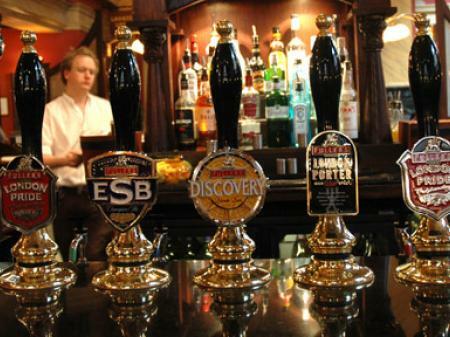 No wonder then that you can now take a cultural and culinary tour of English pub restaurants! In the picturesque Severn Valley you can sample traditional pub-grub accompanied by wine or cider. Find freshly baked bread from the traditional market at Shrewsbury. Let the rolling hills and secluded rural walks sooth the digestion. Kick back in the evening in luxury accommodation and start fresh in the morning with a delicious English breakfast. National dishes are always special. They always have a story. An explanation. They draw us to the landscapes and peoples behind them. This tour of English pub culture is available through Holidays with Humanity. Check out their wide range of cultural and culinary tours. See the world through the eyes of humanity. Travel with a purpose! The thinking behind an all-inclusive vacation package is that it relieves you of the stresses and effort of arranging, researching and paying for all the elements of your holiday separately. These elements may include things such as flights, hotel-bookings, car-rentals and local tours. The idea of the “all-inclusive” holiday supposedly originates from the 1950s when Club Med began to use the term with regard to their resort packages in Mallorca, an island off Spain. These packages tended to be aimed at single people looking for adventure. The international travel scene has since come a long way of course. When you book an all-inclusive vacation, there are certain things you expect. You defer judgment in some cases to the wisdom of the travel company who possess esoteric knowledge of the region. They will have relationships with the hotels and experience of what add-ons tourists have enjoyed in the past. Nowadays there is an expectation from vacationers that travel companies be more culturally and environmentally conscious. There is a new demand for ethical and purposeful travel. Increasingly, package vacations are themed to target niche clientele. These all-inclusive vacations provide an underlying thread. This underlying thread may be “health and wellbeing”for instance, in which case your vacation will be filled with healthy activities such as yoga retreat and meditation. It may have an educational or cultural thread. It may have a food focus that pits you hunting truffles in Italy or tasting wine is Chile. It may incorporate volunteer work with a worthwhile agency. 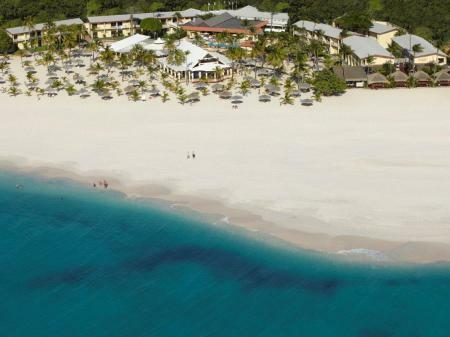 Generally an all-inclusive vacation will offer you a novel and streamlined experience. Something you would find difficult to replicate on your own. There should always be an added-value factor. Something which facilitates and draws attention to new possibilities. Always look for more when you book a package vacation. In a world of possibility, no experience is excluded.